Where can I buy Sarco? The Sarco is not and will not be for sale. The basic plans will be made available free on open source on the Internet. Detailed technical specifications will be published in future updates to The Peaceful Pill eHandbook. It will be up to the individual concerned to source a 3D printer and the requisite liquid nitrogen. How much does Sarco cost? The cost of Sarco will largely depend on what is charged by the 3D print shop. In March 2018 it was reported on CNBC that a car can now be printed for around US$7500. This gives some indication of current costs at least. Where do I find a 3D printer? Most office stores now offer small-scale 3D printing. There are also many cheap models you can buy for home use. However, this is a fast-changing field and it is easy to envisage that 3D print shops which print large-scale (required for Sarco) are not far off. When the technology becomes available, these stores will be everywhere and the cost will drop significantly. 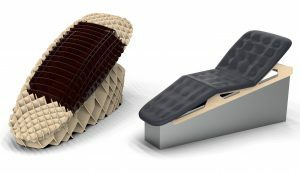 Sarco will be printed from a biodegradable wood amalgam. Where do I get liquid Nitrogen? Liquid nitrogen is generally available from welding and gas supplies. Why does Philip Nitschke say that ‘death by Sarco’ will be euphoric? The Sarco provides a hypoxic death. Hypoxia means low oxygen. This is the same as when a plane depressurizes. The experience of being in a low oxygen environment can be intoxicating. Just ask scuba divers. Does Sarco have safeguards against misuse?